Need a DEXA Scan? Look no further than Lundberg Medical Imaging. 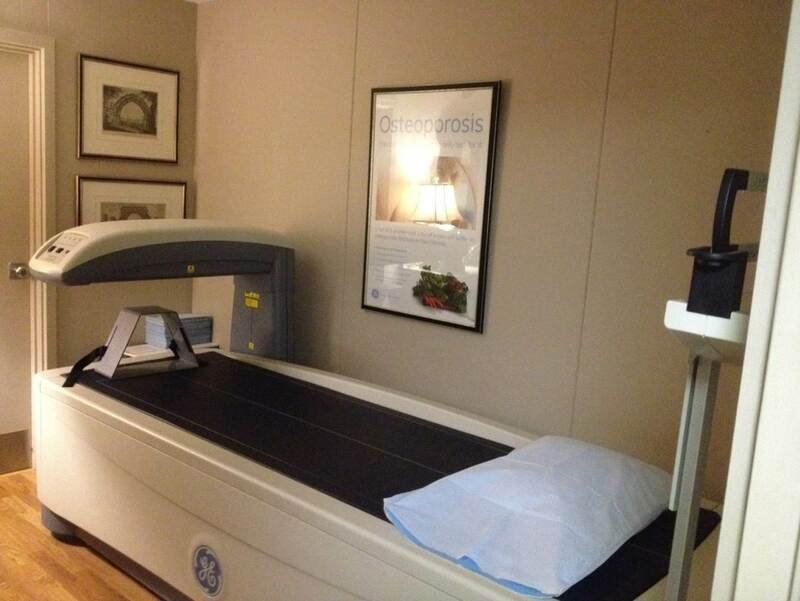 A DEXA Scan (Dual Energy X-ray Absorption) measures bone density, which is directly related to bone strength and helps doctors to predict the potential for osteoporosis and fracture.A DEXA scan uses an extremely low dose of radiation, is a fast and painless exam, and is considered safe for use on patients of any age. Generally speaking, women over 50 should get a DEXA scan once every two years, although it is helpful for those in their early 40s to have a baseline exam for comparison in the years to come. Since 1968, we have been leading the way providing patient-centered radiology excellence without the hospital price tag. Imaging services are YOUR choice. At Lundberg Medical Imaging, you can expect ONE exam, ONE bill and excellent service. Wear a comfortable outfit with elastic-waisted pants and no metal buckles, buttons, or zippers. You will be asked to remove your shirt and bra, unless a sports bra is worn, and you will be given a comfortable gown to wear. You will be asked to lie on your back on a padded table. We scan your lumbar spine and both hips. If you have had surgery on these areas, please notify your technologist and your wrist will be scanned as an alternate. During the exam, an overhead arm that houses a camera will travel above your body to take the readings. It is important that you lie still for accurate measurements. You may breathe normally. The scan will take approximately 5 minutes. The computer will generate a printed report with pictures, and the technologist will review your results with you before you leave. If bone loss is detected, your physician will map out a plan of action for you. Most insurance companies will pay for a DEXA scan every two years, and for your convenience it can be scheduled on the same day as your mammogram. If you have any questions prior to your exam, don’t hesitate to call us at (270) 442-8272 and ask for a DEXA technologist.